Between 24th June and 2nd September, music-lovers can bring a picnic, grab a deckchair and catch weekly performances ranging from classic rock to big bands and jazz, while taking in views across the park’s boating lake and magnificent bedding displays. Visitors can simply turn up and enjoy the free concerts, which will take place from 3pm to 5pm every Sunday afternoon, with an additional performance at the same time on Bank Holiday Monday, 27 August. Acts from across the Capital contributing to the programme include Brixton-based South London Symphonic Winds, Regent Community Brass and South West London’s Barnes Concert Band. They will be joined by the Heroes Band, which raises funds towards Help for Heroes’ work, providing lifetime support for the Armed Forces Community and their families. The Royal Academy of Music associated acts, the Jonny Ford Jazz Quintet and Metropolitan Brass are also confirmed to perform. With step-free access, the bandstand venue is accessible to people with limited mobility and to families with young children. Drinks, snacks and ice cream will be available for concert-goers from event sponsor BENUGO. Organised by the Friends of Regent’s Park & Primrose Hill, working with The Royal Parks charity, the Royal Academy of Music and the Crown Estate Paving Commission, the concerts mark a new chapter for the bandstand, which has remained largely quiet in recent years. 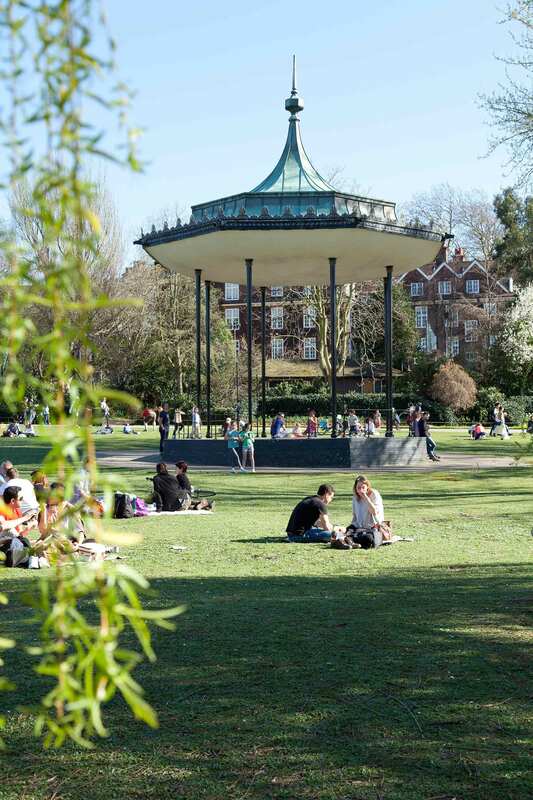 The organisers are hopeful the bandstand concerts could become an annual fixture for Regent’s Park and is appealing for support from further potential sponsors. The programme has already received generous support from idverde, the London Business School, Westminster Business School, International Student’s House, The Crown Estate and the Regent’s University. As well as enjoying open air music, there is plenty to help summer visitors to The Regent’s Park make the most of their escape from the hustle and bustle of the city. People can take in the scent of more than 12,000 roses in Queen Mary’s Gardens, hire a rowing boat and join the ducks on the boating lake, or continue their culture-fix with a performance at the Open Air Theatre.